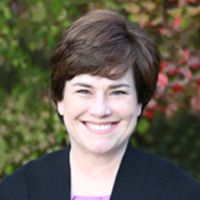 Lesley Couch the founder and principal of Indigo Trade Solutions, an independent consulting firm located in the San Francisco Bay Area focusing on the needs of FTZ clients in multiple industries. With nearly 20 years of FTZ experience, she provides advice to clients on opportunities for duty savings and duty deferral by utilizing FTZs, bonded warehouses and similar programs around the world. During her tenured career in FTZs, Ms. Couch has served as an operator/user of two large manufacturing zones, a product manager of a leading FTZ software module, as well as an FTZ consultant for large multinational corporations. She has a proven track record of successful FTZ implementation from initial concept through completion to day-to-day management. She has been an active member of the NAFTZ for more than 15 years. She is a licensed Customs broker, an Accredited Zone Specialist, and a Certified Customs Specialist.